A theater company most terrible is about to stage a murder most foul ... no good can come of this. 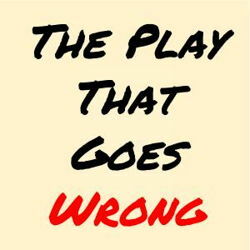 Actually, these wannabe thespians will be lucky to make it through opening night without some real corpses stacking up, because this is "The Play That Goes Wrong". But what's a chaotic series of mishaps for them makes for "the funniest play Broadway has ever seen" ("Huffington Post") and proof that sometimes something's so wrong it's right. Broadway's hit comedy has conquered stages from Paris to London to New York, and now it's coming to wreak hilarious havoc on Boston’s Emerson Colonial Theatre. See for yourself why "Forbes" said, "You'll never have a better time in a theater!"